We seem to be settling in to a deep, white winter around here. 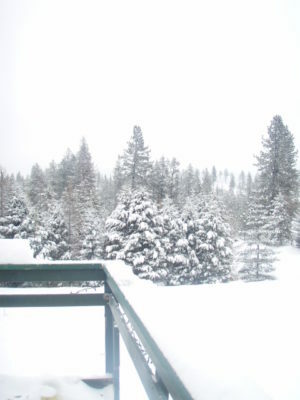 The last few days the snow has been falling steadily and softly, blanketing our world with white. Honestly I don’t mind the snow at all, especially when I don’t have to drive anywhere. I am a true homebody at heart. I love nothing better that staying cozy indoors with lots of tea and a stack of good books. 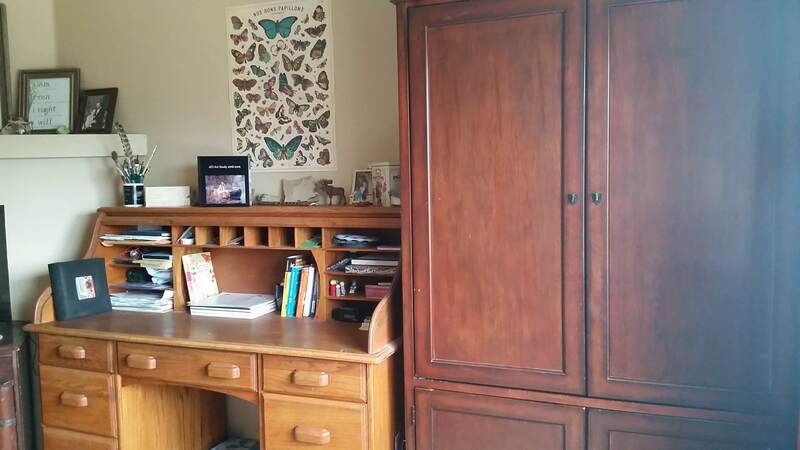 Of course, realistically for me as a homeschool mom, that stack of good books looks like a stack of my children’s schoolbooks! But still, they are good books. That is one of the things I love about a Charlotte Mason education- all the rich, living books we are using. Anyway, around here there is no sign of Spring coming anytime soon. This isn’t bothering me a bit- at least not yet. I am starting to wonder about my children though, because they keep bringing this book for me to read to them. 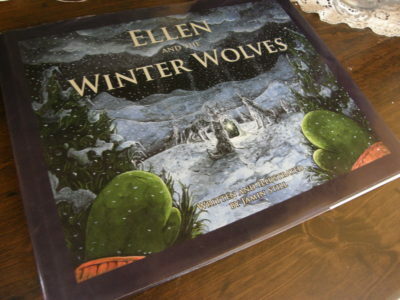 Ellen and the Winter Wolves is a gentle, fantastic tale about a little girl named Ellen. Her father is a trader who spends the winter far away in the south but returns in the spring. This year winter doesn’t leave and Ellen is worried that her father will not be able to come home. Soon she has set out on an adventure to free Spring from the Winter Wolves who hold her captive. This is a beautiful book. The story is lovely and poetic, while the illustrations are vivid and detailed. 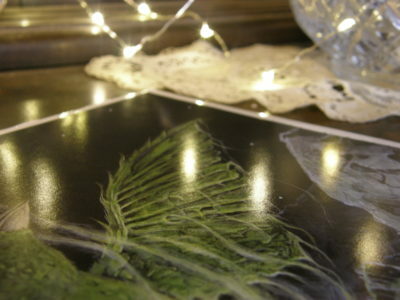 As an artist myself I am drawn to wonderful illustrations and these are truly stunning! 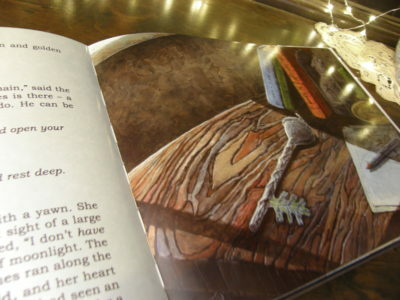 Ellen and the Winter Wolves was written and illustrated by Jamin Still and can be purchased at Rabbit Room Press. So, how are you all enjoying winter? Are you itching for spring yet? Have you read this book or do you have any other favorites about the coming of spring after a long winter? Please share!